Looking down the road…. a glimpse at some amazing research. When Ludvig van Beethoven realized that his hearing was fading, he felt that his joy was fading as well. We don’t know what caused his hearing loss, nor was there technology at the time that could help him. Two centuries later, however, researchers are working with a strain of mouse called…yes, Beethoven, to use gene editing to prevent inherited deafness in mice by disabling a mutant version of the gene that causes a certain kind of hearing loss. Scientists hope that someday it could help doctors do the same thing for people. This is the latest development in the rapidly growing field of gene therapy. Beethoven mice carry a genetic defect that makes them go deaf. It’s probably not what caused Beethoven’s hearing loss, but the same defect runs in some families. People that are born with even one bad copy of this gene experience progressive hearing loss that starts in early childhood, and progresses till they are profoundly deaf. The mutant gene destroys the tiny sensory hairs inside the ear that let us hear. Dr. Liu, one of the researchers and a gene-editing expert at Harvard and MIT designed a “genetic scalpel” to splice out this bad gene and inject it into the ears of these Beethoven mice a day after they were born. Then the mutant gene can no longer poison the hair cells and cause them to die. So, the mice had enough healthy hair cells in their ears to save their hearing. When the mice were tested a month later, the researchers were thrilled to find the procedure worked! Dr. Liu stresses it will take a lot more research before anyone tries something like this on people. But he hopes the same thing could eventually prevent many kinds of inherited deafness. And that’s not all. Researchers are interested in developing different kinds of gene-editing strategies to actually try to restore hearing by stimulating actual regeneration of hair cells, which has the promise of potentially treating not just genetic forms of hearing loss but maybe even environmental forms as well such as deafness caused by loud noise or infections. While this is still-developing science it shows how gene-editing techniques are revolutionizing medicine. 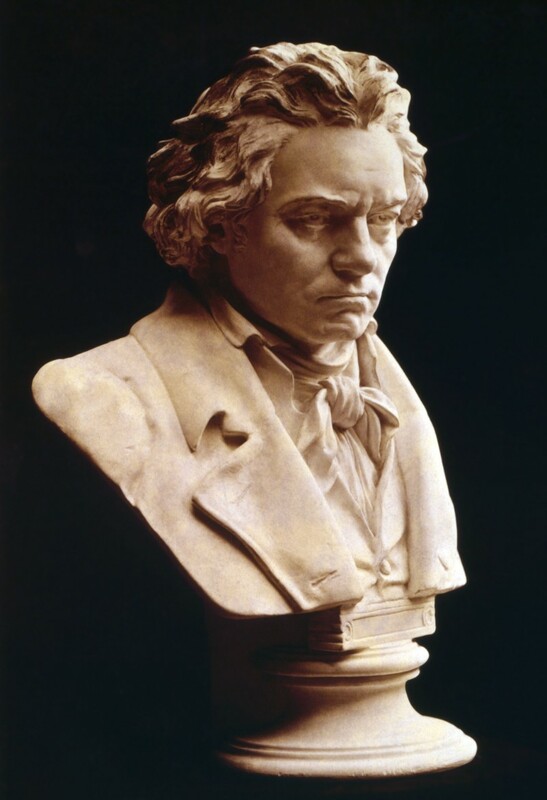 We are told that Beethoven never heard his masterpiece Ode To Joy. In the 20th century more than 5000 diseases have been linked to single-gene changes. However technology was not available to put this knowledge to use for clinical benefit. Current work with gene-editing is changing this. Hopefully we are on the path to treating individuals with deafness-causing mutations so that hearing loss is prevented.